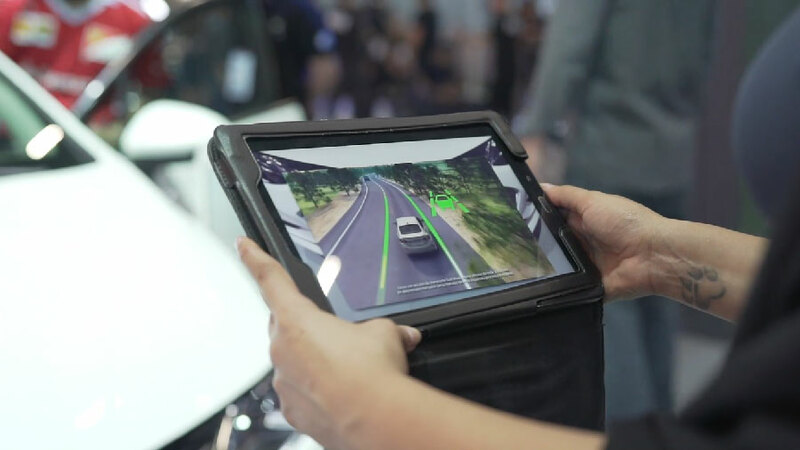 Webcore developed, in partnership with Oath agency, a set of Augmented Reality experiences for Chevrolet during Brazil’s biggest automobile show called “Salão do Automóvel” of 2018 (free translation: The Automobile Salon). 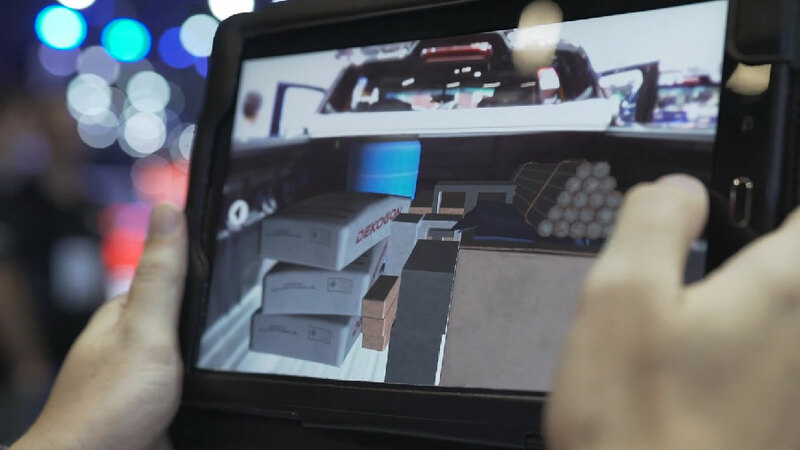 Throughout the event, there were tablets at the brand’s area that people could use and interact with Chevrolet’s automobiles. 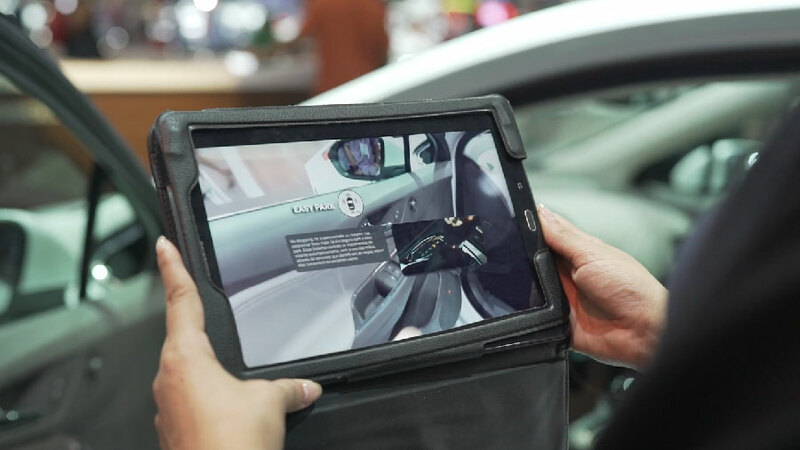 The Augmented Reality interactions were activated when the tablet’s camera was pointed to specific parts of the vehicles, with no need for QR codes placed on the car. 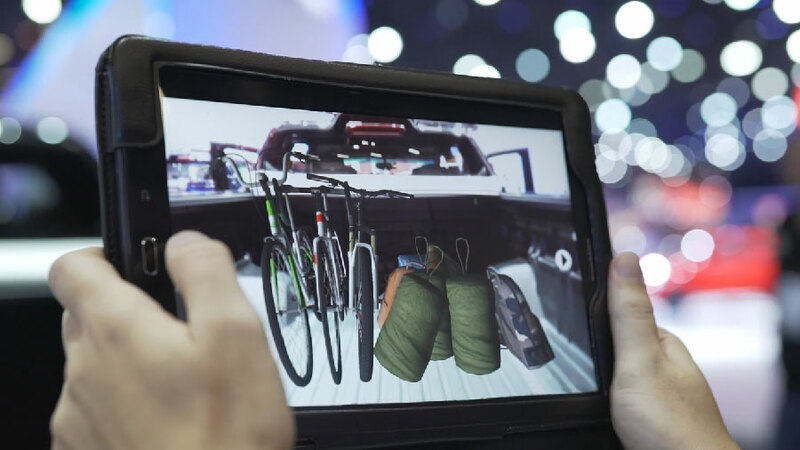 The camera recognized the specific spot and showed the user information about it such as videos about the new car’s functions, informative texts about the vehicle and even a luggage simulation with 3D objects in order to demonstrate visually how much can be fit in the car’s trunk or the pickup’s truck bed.